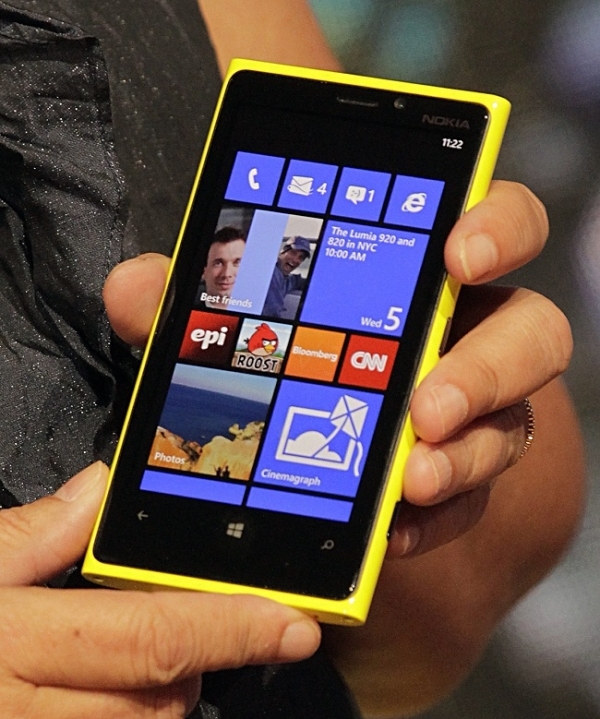 The Lumia 920 is the flagship superphone for Windows Phone 8 – Microsoft’s latest upgrade to its mobile operating system. 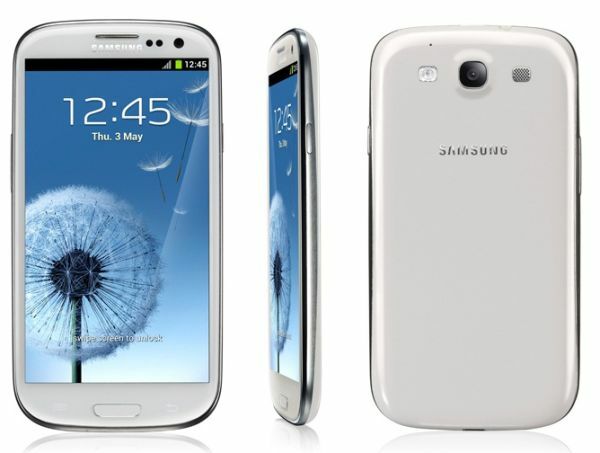 But how does it fair against one of the biggest Android powerhouses in the industry, the Samsung Galaxy S3? We decided to pit the two smartphones against one another. Who comes out on top? Which smartphone has the better display? Which one is more fun to hold in your hand? 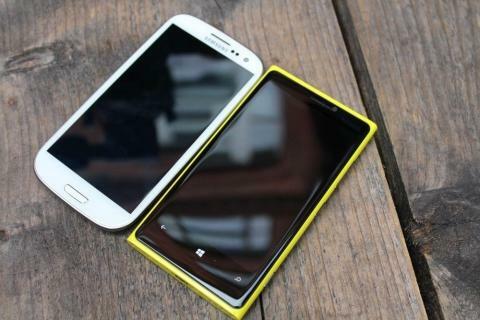 Here’s our comparison of the Lumia 920 and the Samsung Galaxy S3. The display is one of the first things you’ll notice about both the Lumia 920 and the Galaxy S3. 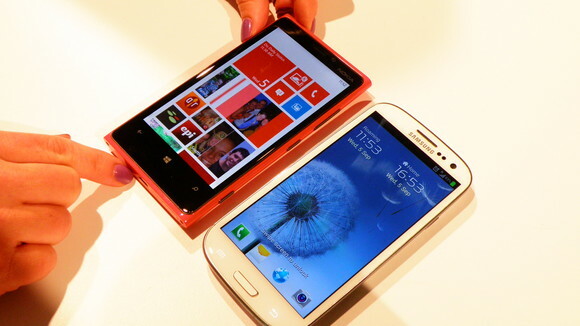 Each phone uses a similar resolution (1,280×720 for the Galaxy S3 and 1280×768 for the Lumia 920), although the Lumia 920’s 4.5-inch screen is slightly smaller than the 4.8-inch screen of the Galaxy S3. Each phone features a vibrant and colorful display. Vibrancy is obviously important for Windows 8, an operating system that is dominated by colorful tiles. It’s also important to note that the Lumia 920 has 332 pixels per inch (ppi) versus the 306 ppi of the Galaxy S3, although most people agree that it’s difficult for the human eye to notice differences beyond 300 ppi. When comparing the two smartphones side by side, users will notice slightly different coloring. That’s because the AMOLED display of the Galaxy S3 doesn’t try to display true colors – it gives them a sharper and more vibrant appearance. 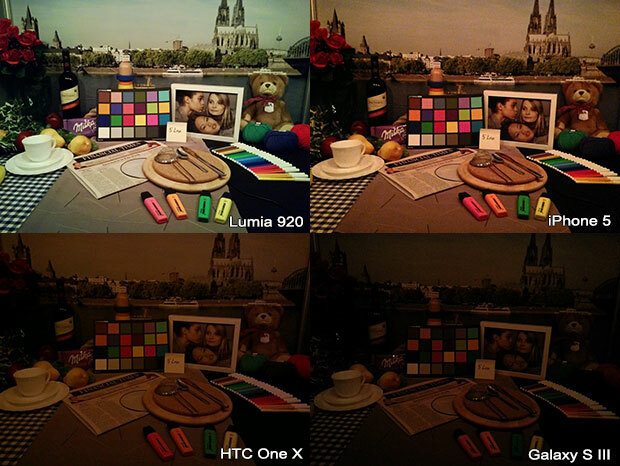 The Lumia 920 uses ClearBlack technology and Puremotion HD+ to achieve the same effect. ClearBlack enhances the contrast of the screen, which means blacks look sharper and whites look cleaner. Meanwhile, Puremotion HD+ locks the screen to 60 frames per second. This is done to minimize latency when browsing between screens, and the effects are very noticeable. We have to give the edge to the Lumia 920 in this category. Even if you’re not using your phone while outside, the ClearBlack and Puremotion HD+ is a joy to use. And when combined with the colorful tiles of Windows 8, it gives the Lumia 920 an appearance that’s unmatched in today’s smartphone market. All other things being equal, people buy new smartphones because they look cool. 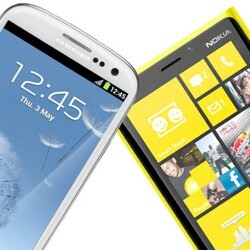 The Lumia 920 has been widely criticized for being too chunky, while the Galaxy S3 is famously slim. The Lumia 920 has square edges, while the S3 has rounded edges. This one comes down to personal preference – the Lumia 920 is significantly heavier than the S3 (185g versus 133g), and this weight difference is immediately noticeable. If you prefer the feel of a strong, solidly-constructed smartphone versus the slim and light design of something like the S3, then you’ll like the Lumia 920. Despite all its other strengths, the Lumia 920 has one major problem: Nokia didn’t include an SD card slot. Most users will be perfectly happy with the default 32GB of storage space, although performance users will want to upgrade their phone with a high-capacity SD. The S3 not only comes with an SD card slot, but it also includes 16GB, 32GB, and 64GB models. The S3 easily takes this category. This is another category that comes down to personal preference. 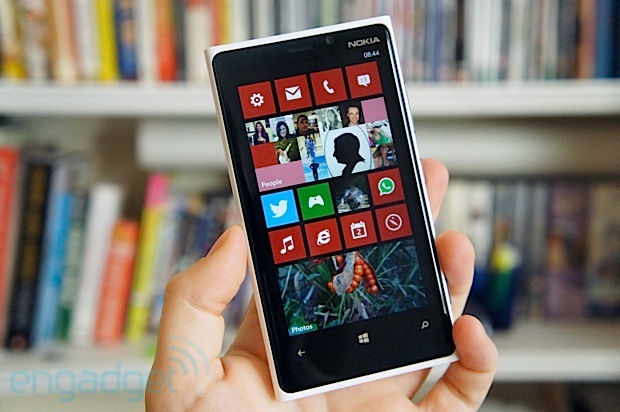 If you like Microsoft products and services (especially Windows 8), then you’ll love Windows Phone 8. And since the operating system seamlessly synchs with your Windows PC, Xbox 360, and other devices over your wireless network, the Lumia 920 simply makes sense if you already have lots of Microsoft products in your house. Meanwhile, Samsung’s version of Android is good, but it’s not perfect. It features a lackluster keyboard and a few too many useless Samsung services. But Android itself is a powerful mobile operating system that can be customized to the heart’s content. And of course, if you don’t like the S3’s operating system, changing it is a simple matter of rooting the device and installing a custom ROM. All of the other categories mean nothing if the smartphone doesn’t have the hardware to back it up. This is where the Lumia 920 truly shines. Its hardware requirements go above and beyond what’s needed for Windows Phone 8. That means the Lumia 920 runs Windows Phone 8 flawlessly with plenty of room left over for high-performance apps. The S3 features similar specs, with 1GB of RAM and a quad-core CPU. However, it uses 32nm architecture, which uses slightly more battery power than the 28nm architecture used in the Lumia 920. The Lumia 920 takes this category. Mobile technology has come a long ways in the 8 months between launch dates for the Galaxy S3 and the Lumia 920, and this difference has a noticeable impact on performance. When using the Lumia 920, you can expect buttery smooth performance whether using apps or scrolling through the desktop. 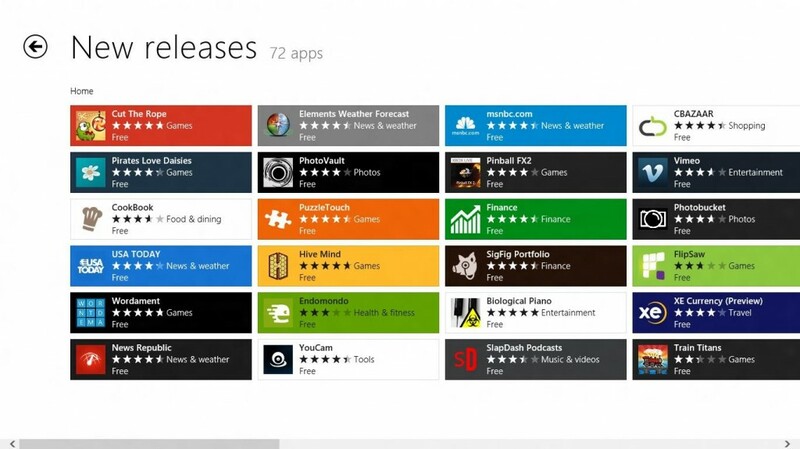 In a head-to-head comparison, the Google Play Store’s 700,000 apps beat the Windows Phone Store’s 120,000 apps. But if you take a closer look, the difference isn’t quite as large as those numbers suggest. The Google Play Store does not have a verification process for its apps, while the Windows Store does. That means the Google Play Store has a higher quantity of apps, but so many of those apps are garbage. In terms of quality apps, the two stores are a little closer together. But we still have to give this victory to Android and the Galaxy S3. Finally, we come to the camera. 8MP is the standard resolution among today’s superphones, and that’s the camera that both the iPhone and the Galaxy S3 use. However, Nokia apparently didn’t feel this was good enough, as they included an 8.7 MP camera on the Lumia 920. But the camera isn’t just .7MP better than the competition. It also includes features like PureView image stabilization and Carl Zeiss optics. However, there is some debate over whether these camera features make a noticeable difference. One budding photographer decided to compare the two cameras in this article at Slashgear. Judging by those pictures, it looks like the S3 has the advantage in indoor environments although the Lumia 920 is better at taking pictures outside – particularly when moving objects are involved or in low light environments. Judging by recorded picture quality alone, this one has to be declared a tie. Both cameras also have the ability to take 1080p video. Conclusion – which one is right for you? 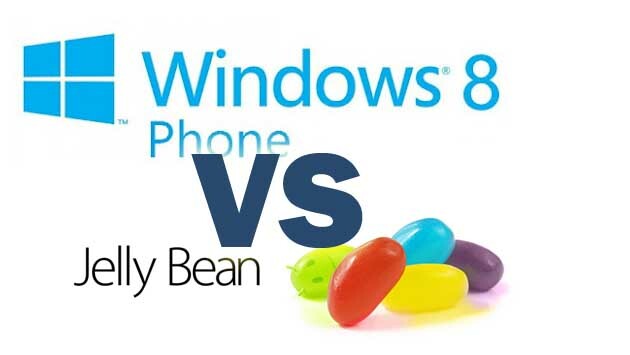 Despite what you may think about Windows Phone 8, its flagship device – the Lumia 920 – sizes up well compared to the latest and greatest Android smartphones like the Galaxy S3. There were more ties in this comparison than any other smartphone comparison we’ve done thus far. 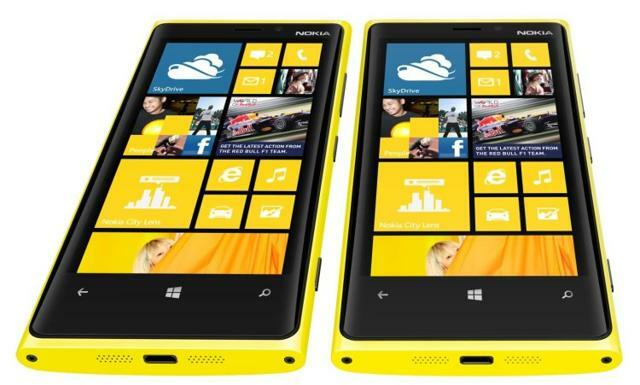 The Lumia 920 was designed specifically to compete against superphones like the Galaxy S3. And it matches or beats the S3 in just about every category. Since these phones are equal in just about every other category, the operating system is the only major distinction you need to worry about.